No liknks are allowed in the message! General description: Patented technology for producing of PREMIUM quality drinking water, which is powerful antioxidant and detoxicant, fully absorbable by human body, improves activity of the heart and metabolic processes in the organism. By using of this technology will be obtained not "just another drinking water" on the market. 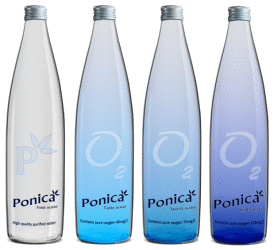 This is completely different water, with unique health benefits, with very delicate and very refined taste. Water passes through 11 stages of treatment, after that it is enriched with additional pure OXYGEN in concentration up to 100 mg/l (1200%). This technology is patented by POLYTONICA Ltd. with patent application No.111498/2013, issued by Patent Office of Republic of Bulgaria.